With 1,700 member businesses, the Lakeland Area Chamber of Commerce is an integral component in the Lakeland community. Our Mission Statement, “The Lakeland Area Chamber of Commerce is the leading organization dedicated to creating a climate where business can prosper,” guides the programs and services that the Chamber provides. City of Lakeland events calendar. Check out what is going on around town! 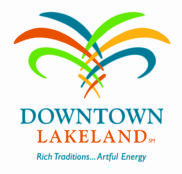 The Lakeland Downtown Development Authority (LDDA) is a special taxing district whose mission is to improve and stimulate the environment for economic development in a people-oriented downtown community. The Lakeland Economic Development Council (LEDC) is a private, non-profit organization with approximately 135 member companies. The LEDC’s primary role is to help create jobs and capital investment by attracting new companies as well as facilitating the expansion of existing companies in the Lakeland area.